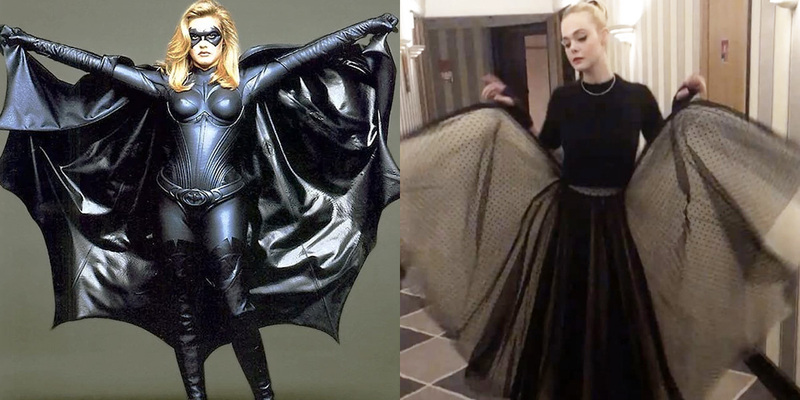 Introducing the Batgirl Pose, Elle Fanning’s new favorite thing that I just totally made up. Last night, the actress took a boomerang of herself showing off her outfit at Cannes and it was awfully reminiscent of a forgotten DC Comics superheroine. She even did the pose–which is simply lifting up your skirt to the sides to give you “wings”–on the red carpet earlier, while wearing her Vivienne Westwood unicorn dress. Can’t wait to see more of Elle’s Cannes looks.